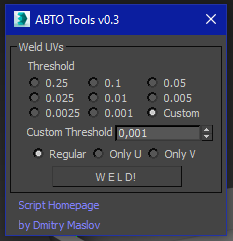 ABTO Tools provides ability to modify UV which is not reachable by using standard functionality. Please watch video for more detailed info. 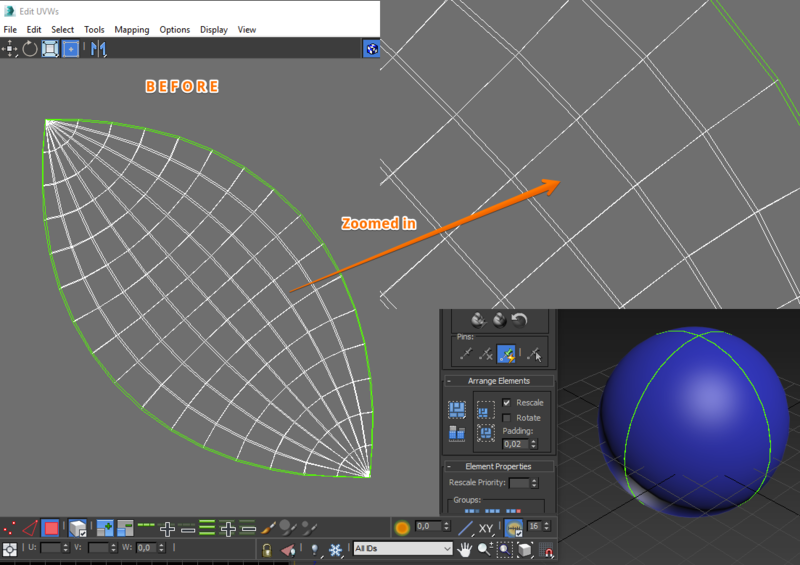 Right now it allows welding UV vertices within threshold. More info is on GitHub. Submitted by ABTOMAT on Sun, 2018-02-04 04:14. Glad that script is useful for people. Will post newer version with few additional features later. Submitted by brainsgonedead on Sat, 2018-02-03 14:46. Much appreciated, thank you. 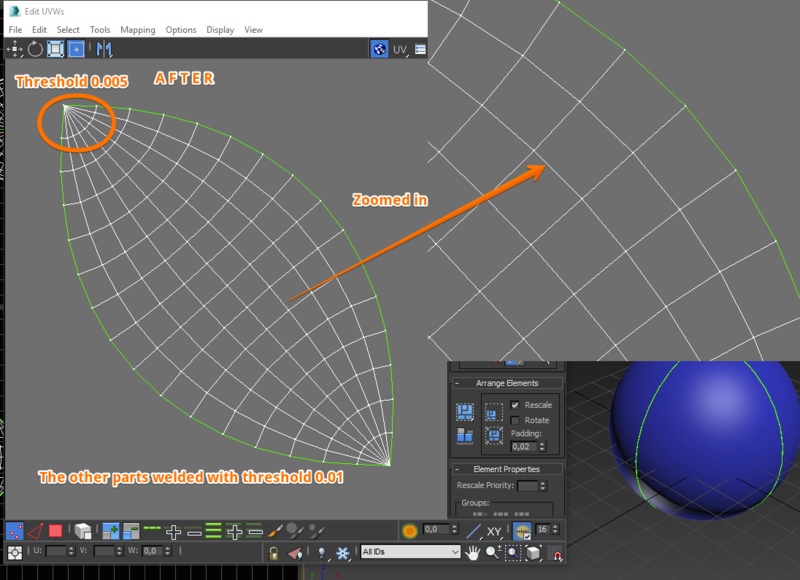 A script that's actually useful, I hate manually aligning vertices now I don't have to.